Have You Purchased Online and Picked-Up In-Store? A growing trend, Buy Online, Pick-Up In Store (BOPUS) has emerged as an option for retailers to leverage their brick and mortar locations to compete with online only stores and better meet the evolving needs of customers. An online presence in addition to a brick-and-mortar store can be a strategic asset in the fulfillment process, putting inventory closer to the customer and allowing them to pick-up at their convenience. Large retailers use buy online, pick-up in-store as a competitive edge to drive profits. This trend was witnessed this past holiday season as Adobe found that click-and-collect orders grew a whopping 46 percent from a year ago, between the Nov. 1 to Dec. 6 period. Target, meanwhile, said Black Friday shoppers chose an in-store pick-up option for their online purchases for almost twice as many items compared to a year ago. Below we share some of the benefits of this emerging trend. More choices for the customers. Amazon Prime has instilled the belief in consumers that they can select a product online and get it delivered to their chosen location almost immediately. 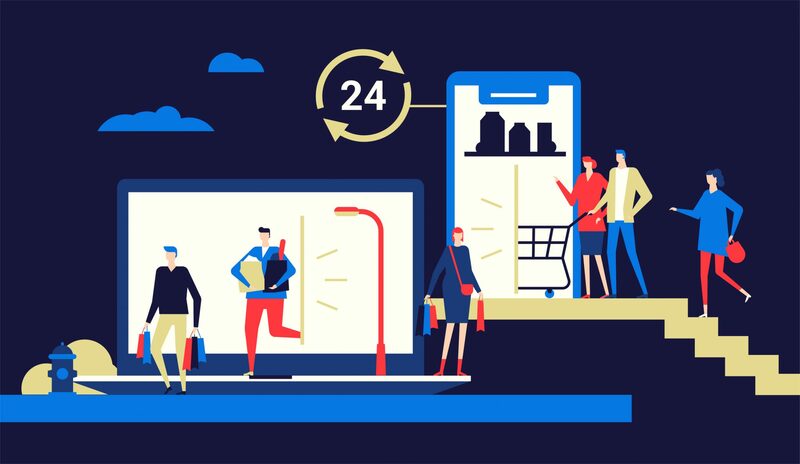 Incorporating BOPUS as a part of their omni-channel order fulfillment strategy allows retailers to meet or exceed this timeline and appeal to different kinds of shoppers without alienating their core. In addition, consumer behavior analysts have concluded that many consumers conduct research online, and will either purchase online or travel to the store to buy. No late deliveries. An advantage of buy online and pickup in store is that customers are only a drive away from getting their hands on the product. This can be a boon for consumers who make last minute purchases and want/need the product right away because they will find their orders ready as they reach the store, without the wait. Increased sales. Retailers have every reason to provide the in-store pickup option for online buyers because it gives them an opportunity to cross-sell as well as upsell when a consumer comes into the store to pick-up their order. The reduction of “lost opportunities” which then leads to increased sales also is a result of BOPUS. If an item selected online is unavailable but available at a local store, this is an example of how a potential sale does not become a lost opportunity. What other benefits of BOPUS have you observed? Meet us in the comments section with your thoughts.